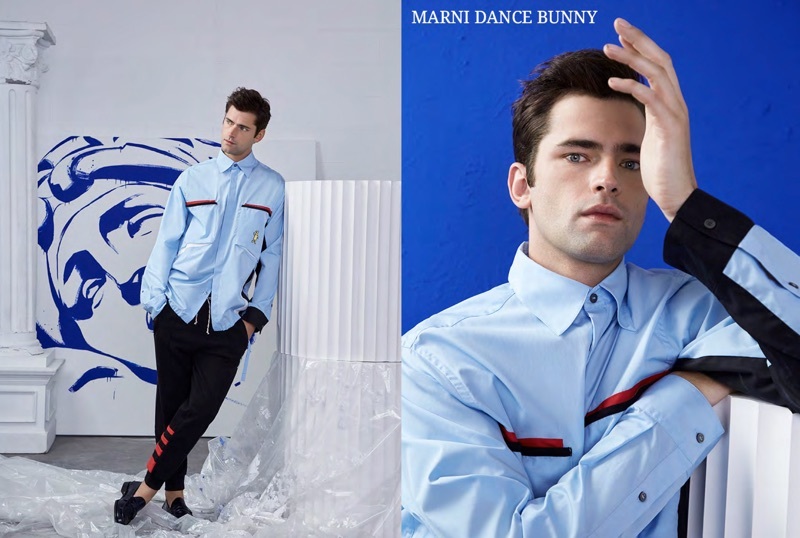 Sean O'Pry dons a look from Marni's Dance Bunny capsule for spring-summer 2019. Sean O'Pry reunites with Simons to star in its spring-summer 2019 designer lookbook. The top model takes to a stunning set, posing amongst decor inspired by International Klein Blue and various creative spaces. Embracing varied styles, Sean models Simons' luxurious offering, which represents both casual and tailored menswear. 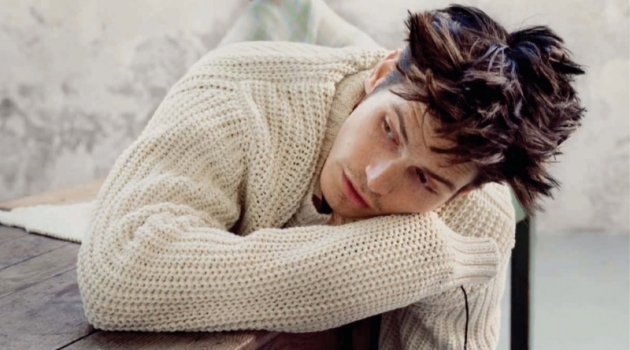 Wearing relaxed looks, Sean inspires with a certain sportiness in brands such as Kenzo and Y-3. He also goes sartorial with brilliant ensembles from labels like Emporio Armani and Ernest W. Baker. A modern vision, Sean O'Pry wears a leather biker jacket and tailoring from Dsquared2. 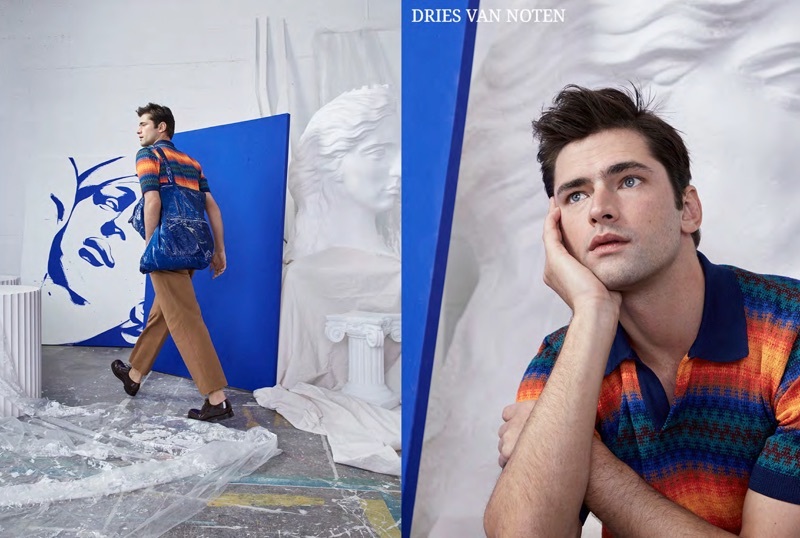 Daydreaming, Sean O'Pry models a colorful look from Belgian designer Dries Van Noten. 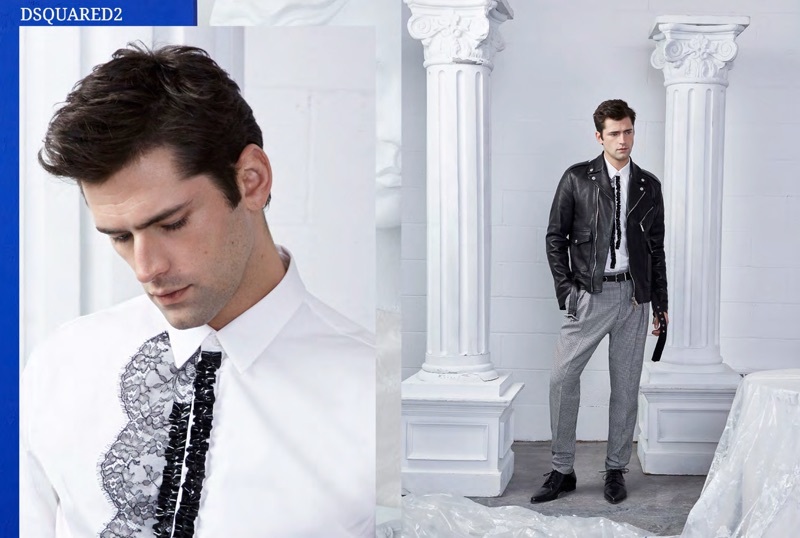 Wearing black and white, Sean O'Pry sports streamlined pieces by Calvin Klein 205W39NYC. 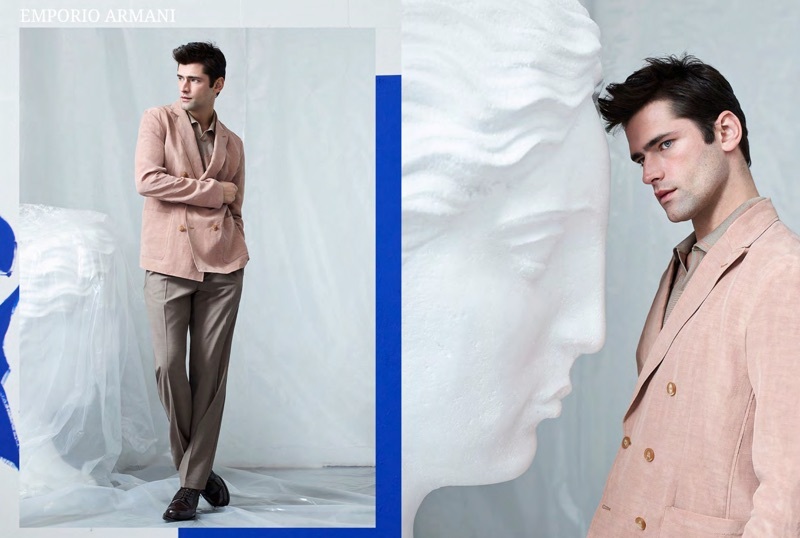 Embracing chic Italian style, Sean O'Pry is dashing in an Emporio Armani look.